“I feel an obligation to the pollinators,” said Dr. David Susko, Director of the Environmental Interpretive Center and professor at UM-Dearborn, who introduced the initiative of Bee Campus USA to students and faculty. The Bee Campus USA initiative will provide awareness to the decline in pollinators, and help to make UM-Dearborn more efficient with its practices when it comes to the surrounding pollinator habitats. Pollinators are experiencing a loss in habitat which could take a toll on the food industry. According to Michael Perrin, the Administrative Manager in the EIC, one pollinator is not enough when it comes to food. The more that a food item is pollinated, the better quality the food will be. This includes foods like blueberries, almonds and apples. 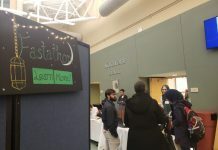 Student Government co-sponsored the Bee Campus USA initiative event because the Environmental Sustainability Committee has a drive for making a change. They are really excited because they have already established connections with the EIC. “Being an environmental major, I have had the opportunity to learn how pollinators affect us. 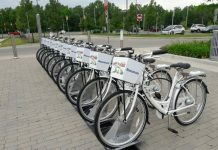 I wanted to make a change on campus,” said Ashley Kasper, Student Government Chair of the Environmental Sustainability Committee. 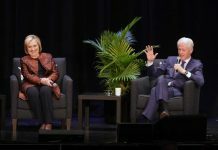 “I wanted to ‘bee’ the change,” said Kasper. 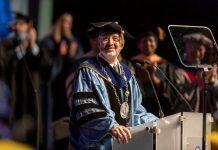 This new campus initiative will need a signature from Chancellor Grasso, along with a committee of students with the drive to expand this idea on campus and gain certification. Receiving this certification will be $300 annually to remain members of this initiative. 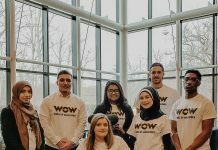 The roles that students can fulfil consist of giving tours, creating flyers and promotional material, hosting events and creating a social media presence. There are many more opportunities that will come about as this initiative progresses. Students and faculty will be working together to assist facilities with creating a more efficient way of taking care of the campus without interrupting pollinators. Some of the ideas that Dr. Susko and Perrin have are to put flyers in eating areas on campus, stating facts about how pollinators affected the process of receiving certain foods that are available for purchase. They also plan to host workshops that will teach people ways that they can help pollinators, which could include creating bee houses. The campus is already fulfilling the needs of pollinators. Various habitats, such as the Organic Garden, Insect Hotel, Rain Gardens and the Bee Yard, have all contributed to the success of pollinators on campus. A large amount of milkweed has been planted for many years, giving the pollinators a place to lay their eggs and continue pollinating. Currently, the Environmental Interpretive Center holds a demonstration to which talks about the different components of the hives. Students and children from surrounding schools can watch from indoors and communicate with Perrin, who is outside talking about the hives. This is only one of the many learning experiences that the EIC gives. Perrin and Dr. Susko have been able to fulfill their many passions at their job for many years. Dr. Susko grew up working in a garden, which caused an interest in plants. He found that 90 percent of plants require pollinators to thrive. The goal of bringing this onto campus is to set an example for the city of Dearborn as a whole. 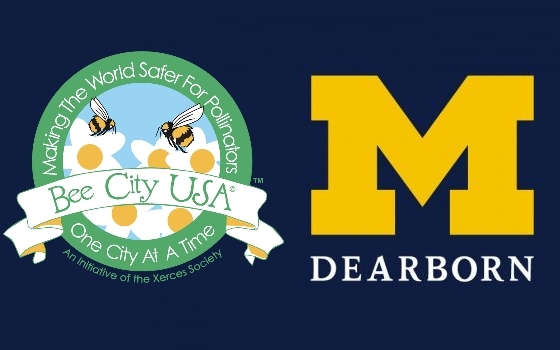 Eventually, the organizers of the UM-Dearborn Bee Campus USA initiative would like to see Bee City USA take over in Dearborn. To sign up for the UM-Dearborn Bee Campus USA committee, visit the link to commit to making a change bit.ly/2FMugtj. The Environmental Interpretive Center is a campus resource geared toward environmental sustainability. The building is open six days a week, from 10:00 a.m. to 5:00 p.m. The grounds are open year-round. 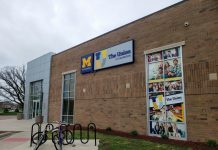 To find out more about the EIC, visit their page on umdearborn.edu.